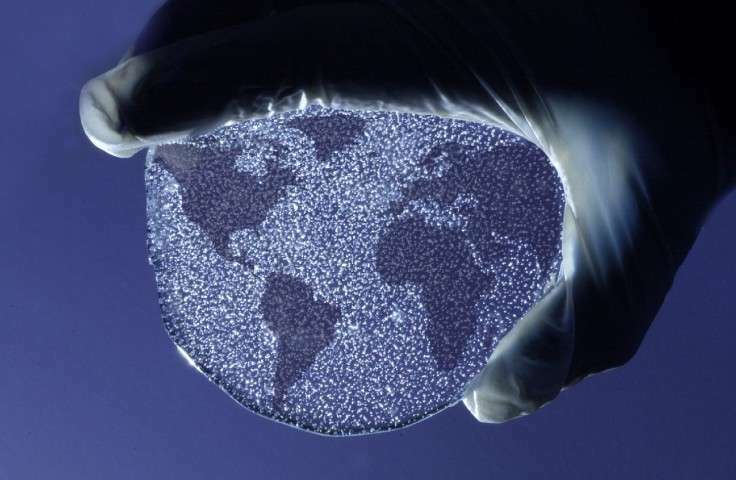 An international team of scientists has used air bubbles in polar ice from pre-industrial times to measure the sensitivity of the Earth's land biosphere to changes in temperature. In a paper published this week in Nature Geoscience the researchers have verified and quantified the relationship for the first time and shown how it impacts the cycles of carbon between land, ocean and the atmosphere. Up until now, this relationship has been assumed. About half of the carbon dioxide (CO2) emitted by human activities since 1850 has been taken out of the atmosphere by the land biosphere and the ocean. How these sinks will behave in the future has been a significant source of uncertainty in climate projections. The paper reveals that the Earth's land biosphere takes up less carbon in a warmer climate. "Until now it has only been assumed that as the Earth's surface warms the ability of land-based plants to store carbon is reduced. In this study we were able to quantify the relationship," said paper co-author and CSIRO senior scientist Dr David Etheridge. "Reduced storage of carbon by the biosphere leads to higher atmospheric CO2. This increases the Earth's surface temperature, which leads to even less carbon stored by the biosphere, causing a positive feedback." "The amount of CO2 in the atmosphere is a delicate balance between what is emitted from natural sources and by human activity, and what is absorbed by the oceans and by plant life on land. Scientists have been puzzled about why the level of CO2 dipped slightly during a prolonged cool period called the Little Ice Age (1500-1750AD). 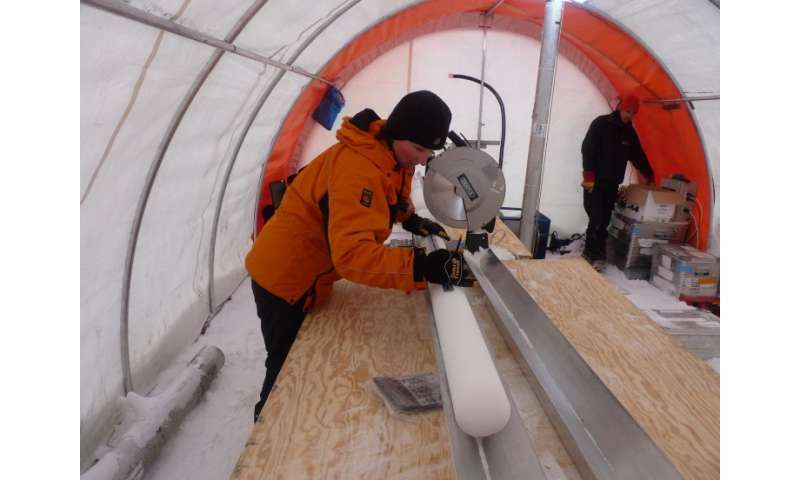 Using measurements of atmospheric gases trapped in an ice core collected by British Antarctic Survey nearly 20 years ago, our colleagues have been able to explain that less CO2 was released from natural sources as the climate cooled." The research team measured air trapped in ice core samples from the Australian Antarctic Program's unique Law Dome site where past atmospheric composition is preserved in fine detail, together with ice cores from British Antarctic Survey. The study focused on CO2 changes preserved in ice before, during, and after the Little Ice Age. This period is well suited to focus specifically on the relationship between CO2 and temperature because it occurred just before the growth of industry and agriculture affected CO2 concentrations and the deposition of pollutants and nutrients. Previously published measurements of another natural ice-based tracer of the carbon cycle, a gas called carbonyl sulfide (COS), were used to rule out the possibility that early land-use changes could have contributed to the CO2 change seen through the study period. This confirmed that the CO2 changes can be related to variations in land surface temperature, which are known from paleoclimate proxies such as tree rings. The study shows that for every degree Celsius of global temperature rise, the equivalent of 20 parts per million less CO2 is stored by the land biosphere. "How plants and soils respond to warming is one of the big unknowns in climate projections so it's great for modellers to have some independent numbers to compare against rather than just comparing models with each other," said paper co-author Dr Peter Rayner from the University of Melbourne. This study is relevant to coming decades, because it shows how the biosphere responds to temperature changes that are comparable in magnitude and duration to the likely future warming. Previous ecosystem carbon cycle and climate studies have had limited geographical extent and duration. the claim is 'less co2 is stored' rather than more co2 is generated ? Yes, the correct term is "sequestered". About half of the carbon dioxide (CO2) emitted by human activities since 1850 has been taken out of the atmosphere by the land biosphere and the ocean. Danger Will Robertson, Danger! So half of the man-made CO2 created in the last 166 years is still hanging out with us? Oh man. Lets all check what CO2 is now; 406.81 ppm. Wow. Kuwait hit 54C the other day, 127F breaking a record in the mideast. But it was a dry heat.